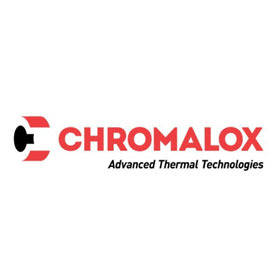 Chromalox – Messplay Machinery Co.
At Chromalox, we develop advanced thermal technologies for the world’s toughest industrial heating applications. We do it better, and we’ve been doing it longer than anyone else. We invented electric heating technology. Chromalox started with an innovative solution 100 years ago when a self-taught engineer invented the first metal-sheathed resistance heating element. It was this then-advanced-thermal-technology that launched an entire industry. Our Heat Trace Segment delivers Temperature Management Solutions for piping systems, valves, and tanks. Our Industrial Heaters and Systems Segment delivers Process Heating Solutions for revenue-generating industrial processes. Our Component Technologies Segment delivers Component Heating Solutions for industrial equipment manufacturers.